Aviva, the sponsor of top-flight club rugby union, is targeting the forthcoming Wembley clash between London clubs Harlequins and Saracens as a possible world-record attendance. The insurance brand is thought to be looking at a number of marketing possibilities ahead of the game, which takes place on March 31. The corresponding fixture, on December 27 last year, set a world record for a regular-season club fixture, attracting an attendance of 82,000 to Twickenham. Saracens, the away team, won the game 19-11. The match eclipsed the previous record of 79,842, between Stade Francais and Clermont Auvergne in April 2009. Pop band McFly have been drafted in as the warm-up act before the Wembley match to encourage a higher attendance. Aviva is also considering a series of yet-undecided marketing ventures to promote the match. However, any hope of a world record crowd could be undermined by the choice of venue for the match. Some believe Wembley will not be able to draw in the same attendance as Twickenham, the home of rugby union and a ground to which fans are accustomed. Saracens has previously held home matches at Wembley, but has failed to attract similar crowd numbers to those at Twickenham. 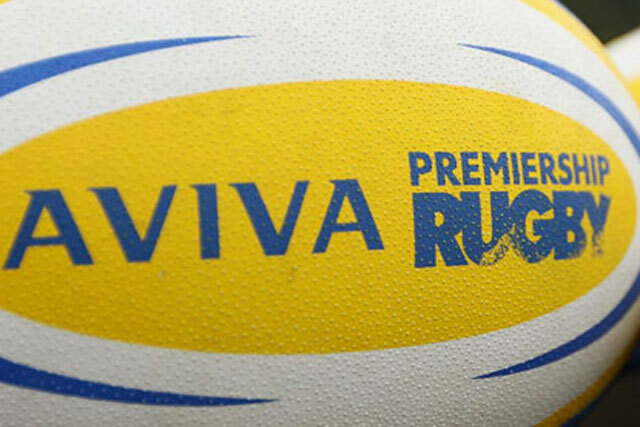 Aviva has been the sponsor of Premiership Rugby since 2009. Aviva, the Rugby Football Union (RFU), and Saracens were unavailable for comment.